Cruise Hive is extremely sad to report that an Italian baby has died after a small tour bus accident on the Caribbean island of Dominica. There have also been several injuries involving MSC Cruise ship passengers. Local authorities informed that a 16-month old boy had died when a tour bus crashed on Thursday, January 28 at around 11 am. Local media also reports that five Italians and two Brazilians were injured. 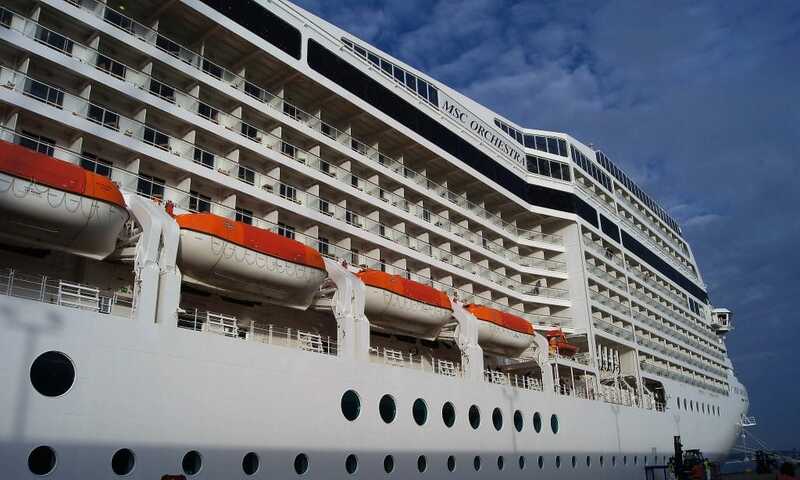 The tourists are from the 2,550 passenger MSC Orchestra which was calling at the port in Roseau, Dominica. Regarding the tragic accident that took place yesterday, it is with great sorrow that MSC Cruises confirms that a 16 month old boy has died following the dramatic accident that involved seven of its guests, in Trafalgar, Dominica. The entire MSC Cruises family offers its most heartfelt condolences to the parents of the little boy and to his family and their friends. The parents of the little boy are both out of harm’s way as the father was released from hospital while the mother remains under observation. A member of the MSC Cruises’ support team is at their side to offer on-going assistance and help and will remain there until they are released. All other guests are also safe and have returned to the ship. The seven guests involved in this terrible accident were five Italian and two Brazilian nationals. They were all on board MSC Orchestra which was calling Roseau, Dominica for the day. The accident happened as the guests were on their way to an on-shore visit which they had independently booked through a third party. The cruise passengers were using a third-party tour not booked with the cruise line. MSC Cruises said that the passengers involved were taken to Princess Margaret Hospital and were also supported by the companies Care Team. Since the Hospital all other guests returned back the ship. The 89,600 gross ton MSC Orchestra is on a 14-night Caribbean, Cuba and Antilles cruise, it’s scheduled to call at Grenada on January 29 and then Martinique on January 30. Our deepest condolences to the family and loved ones of the young baby.